Our old blender (despite what it claimed) was not capable of crushing ice or making frozen drinks. So our world has changed a bit with our Vitamix. Enter the strawberry daiquiri. We’ve made this a few times over the last week. But I justify it because it contains whole strawberries, so it’s actually healthy. The recipe combines rum, Grand Marnier or Triple Sec, lime juice, powdered sugar, frozen strawberries and ice cubes. It makes a very refreshing drink for a hot summer day. 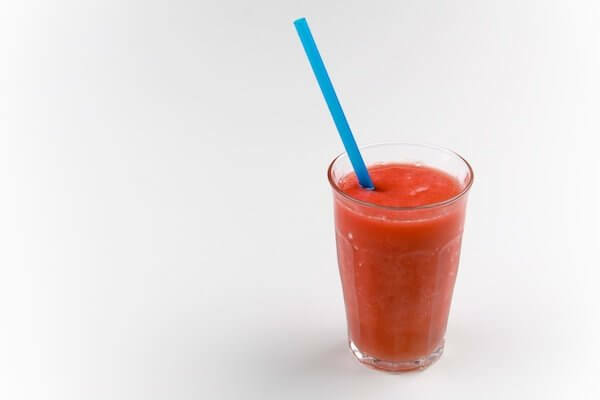 We’ve transformed this drink into more of a frozen strawberry daiquiri by increasing the amount of frozen ingredients (the strawberries and ice) so that it comes out a bit more slushy). The added benefit is that it makes you drink it more slowly… because these drink can be dangerous!